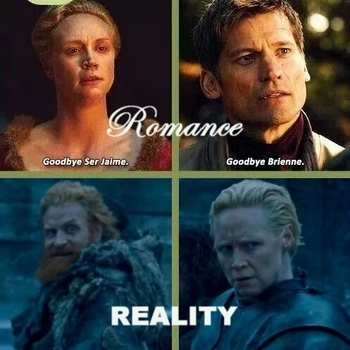 Romance isn’t the first subject that comes to mind when we think of Game of Thrones. And yet the show has its moments when love shines through the warring and darker aspects of the world. 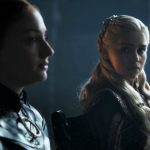 (Of course, the canonical romances of GoT often have a complicated twist, and are plagued by misfortune, death, or close blood relation. This is George R.R. Martin, after all.) It’s not all gloom and doom, and with the holiday ahead, we have romance on the brain today. Valentine’s Day is coming up in just a couple weeks. 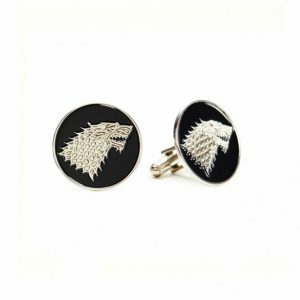 Why not make the holiday fun by adding Game of Thrones gifts to your shopping list? To make it simpler, we’ve compiled a few of our favorite ideas this year for your enjoyment. 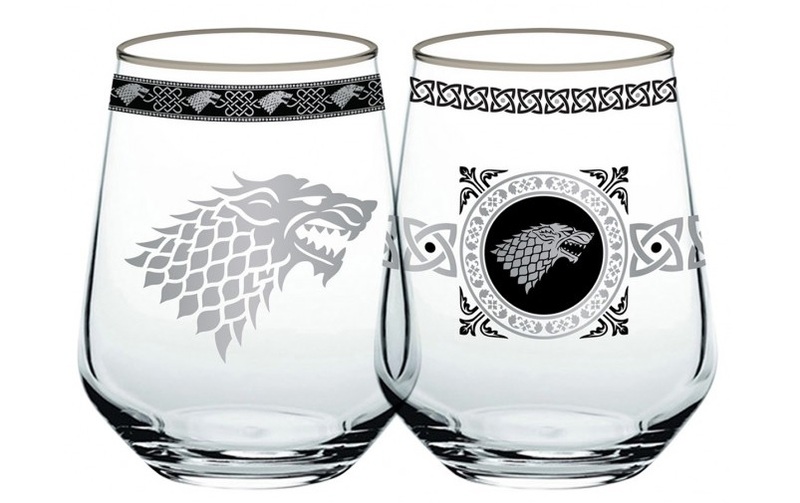 You could go for the Lannister variation of stemless glasses instead. 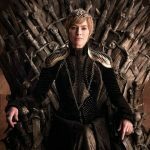 After all, no one brandishes a cup of wine like a Lannister! If you’re flying solo this year, no worries. 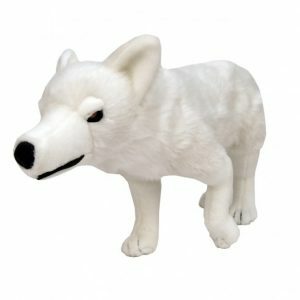 Cuddle with something soft and cute- this Ghost direwolf plush! 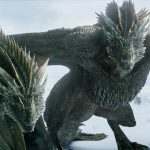 The sizable collectible plush, based on Jon Snow’s intimidating grown direwolf, is 18 inches long, and about nine inches tall. 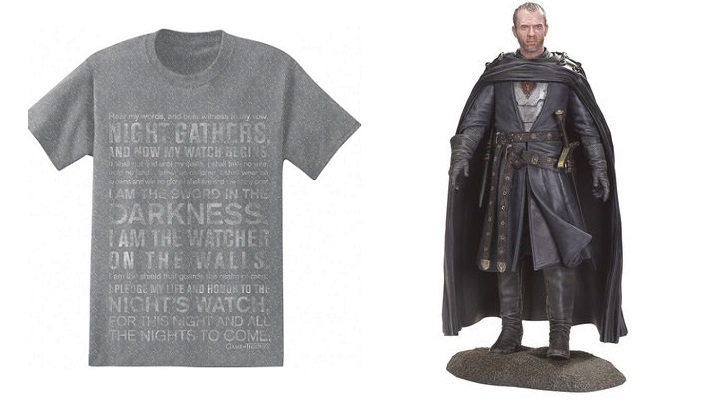 Normally Ghost will set you back $30 but right now he’s on sale for $15.00 in the HBO Store. 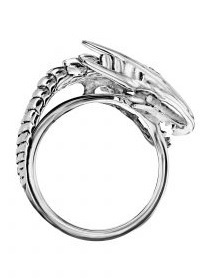 Here’s one of my favorite pieces of Game of Thrones merch. 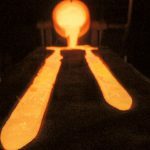 While the ValyrianSteel full-size sword replicas are amazing, they can be a little pricey for the average fan. Instead, why not go for the nine-inch Longclaw Letter Opener? 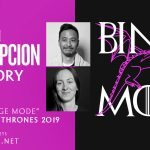 This one will only set you back $23.99, with its die-cast metal handle and stainless steel blade, while still displaying style and love for Jon Snow and House Mormont. And yes, it does actually open letters, if you want it to. Though mostly I like to play with mine, and pretend to kill miniature White Walkers. 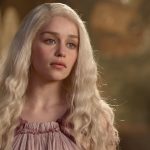 There’s one more option that Valentine’s Day celebrants might find intriguing- cooking for their Game of Thrones fan an authentic Westerosi meal! 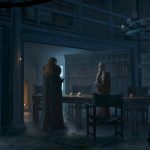 The good folks at the Inn at the Crossroads have researched the foods from A Song of Ice and Fire, often spotted in Game of Thrones, and produced their own recipes. Bake Sansa’s favorite Lemon Cakes for dessert, or have some of Manderly Pie for dinner..naturally with a key substitution. 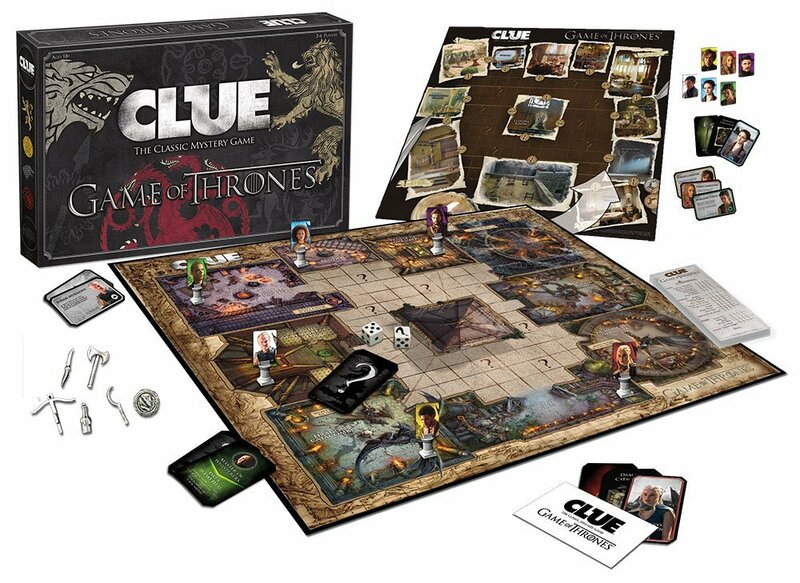 Have your own Game of Thrones or A Song of Ice and Fire suggestions for the holiday? Feel free to share them in comments! For Valentine’s Day, you can’t get any more romantic than The Hound. 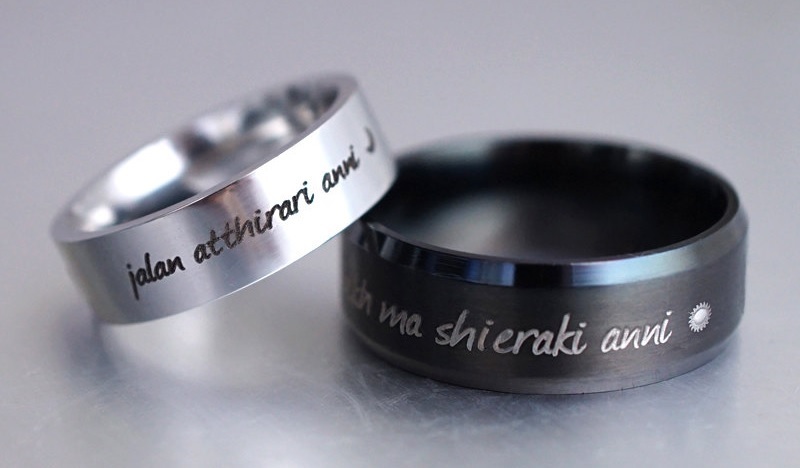 Matching rings, glasses, etc. with her words to Jon. “You’re mine, and I’m yours.” ? His: “I know some thinsgs. I know I love you, and I know you love me.” ? [Because the scene was so cute….] Gift card or imprint for a silk dress with the words “My dress is made of the finest silk from Tra-la-la-la-la-aday.” ? 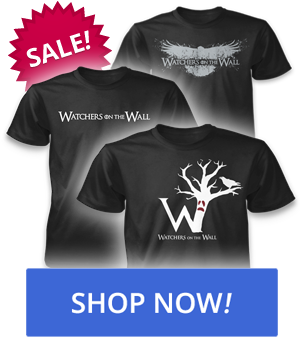 There’s lots of Ygritte-Jon source material for more risqué gifts, of course..
For Gendry-Arya fans, a men’s shirt, BBQ apron etc with a playful, subtly submissive vibe. No Wild Cards trinkets? Disappointing. Instead of Ygritte bow and arrow there could also be a heartshapped Ros crossbow that shoots fuzzy pink bolts (nerf style). A-hahaha, great merchandising ideas! Especially the Jon/Ygritte and Sandor lines, love them. 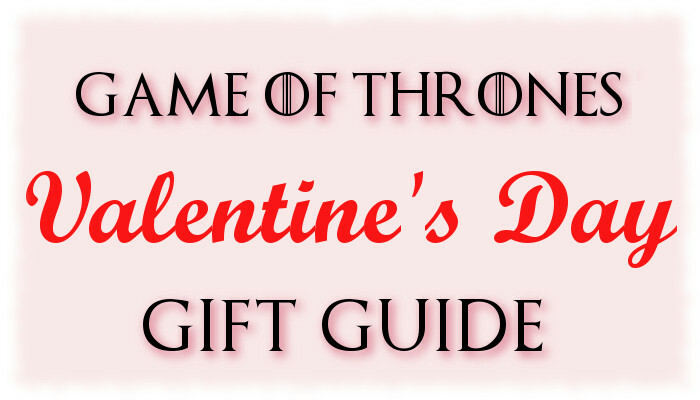 Only problem is, now you’ve got me thinking of Joffrey-themed VD gifts, most of which would be inappropriate to describe (eg what Tyrion suggested Joffrey would need for his own bride if Joffrey kept insisting on a bedding ceremony at the Sansa-Tyrion wedding dinner). 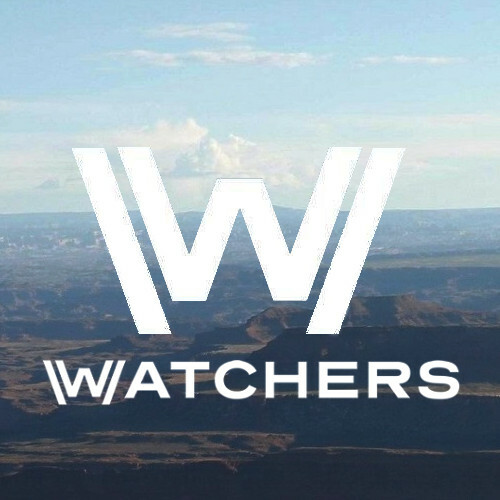 Considering the popularity of the show, I’m surprised the HBO store’s selections are so limited. I’m not being critical of the post’s suggestions – after all, WoW doesn’t manufacture the merchandise. Some of them aren’t really VD-day-specific. For that matter, anything with her image and the words “I think we’ve had enough small talk. Why are you here?” woujd sell like hot cakes. 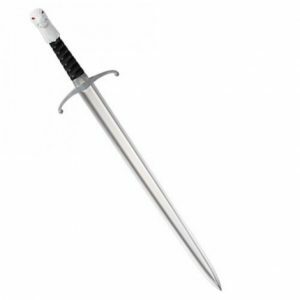 My first thought when seeing the Longclaw letter opener was “ummm How is this a romantic gift for Valentine’s Day?” If you’ve seen the Seth Meyers spoof skit, “Melisandre Attends a Baby Shower”, it reminded me how her gift to the expectant couple didn’t go over so well, i.e., a Valaryean Steel Sword rattle. Great idea! “Anti-Valentine’s Day” cards! Melisandre really tries. “I had a baby once”; and the Valyrian steel dagger baby rattle. Not exactly cute but the night is dark and full of terrors so she’s just trying to protect the baby. Right? 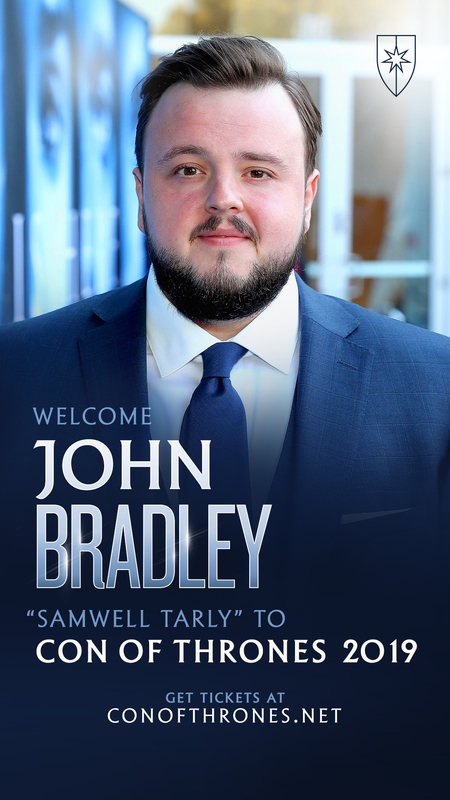 Joffrey-themed “gifts” would be crossbow bolts. Coward’s weapon. Ser Jaime Lannister (lately aspiring to be the perfect knight, despite everything) hates archers and crossbowmen. 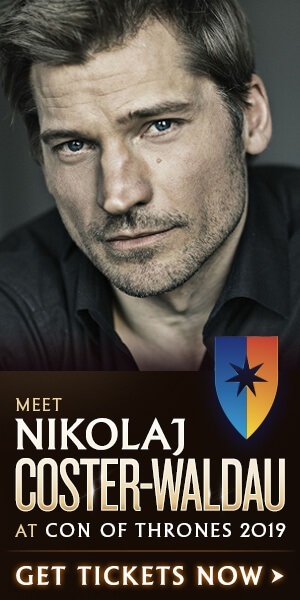 He wants to fight one-on-one with swords with other knights, fight with honour, not be shot by some cowardly hiding archer – Jaime’s a bit of a snob that way. 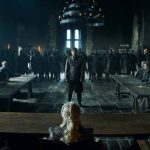 Yeah, in the books Jaime has already broken with Cersei and is toying with ideas about telling Myrcella and Tommen the truth. The show hasn’t gone there. 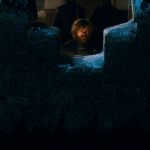 Myrcella and Tommen are dead in the show anyway, so maybe it clears the way for the final act of Cersei-Jaime story? Huh? Dunno. Ten Bears: “Listening to talkers makes me thirsty. I would love a shirt or anything with that. I got the I drink and I know things shirt for my bday. 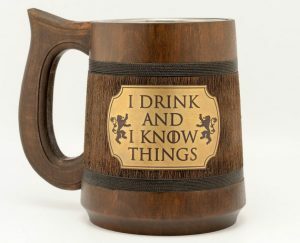 I’d buy the Clegane mug ?? I’d buy the Clegane anything!